Light can be represented in painting in all the very different degrees of intensity that exists. When the light has a bright and deep degree, close to white color, this is a strong luminosity. If the background or the surrounding elements are darker, we perceived it as brightness or a weak light. So, we see there is contrast in the painting, due to the difference in brightness between the elements. And therefore, there is not a picture with a general tone, but the contrasts between strong and weak lights produce a visual rhythm and a very important aesthetic appeal. In the famous Baroque chiaroscuro painting, for example, there are paintings with strong contrasts of light. But we have many examples in the painting history with contrasts of light with varying intensity. In this post I present some famous painted works as good examples of what is creating contrasts of light. You have to watch how the light is painted relative in relation with the figures and the space. Also, the sense or meaning that the work takes thanks to this way of lighting. 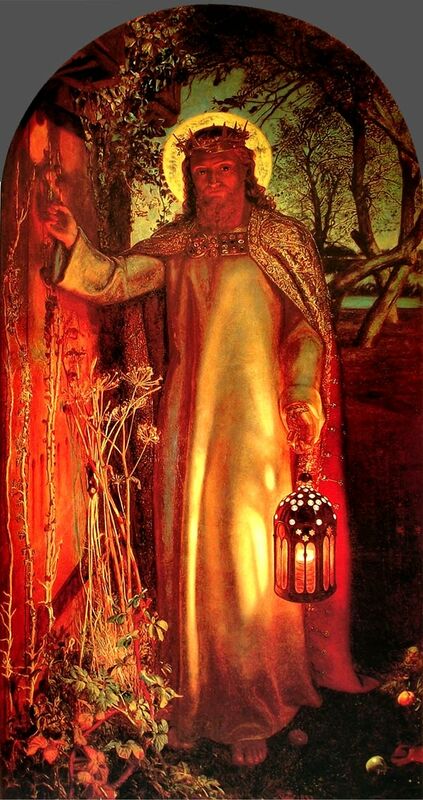 “The light of the world”, pre-rafaelist style, by the painter William Holman Hunt, in 1854. A good set of contrasting lights is what Leonardo Da Vinci created in his Virgin of the Rocks, where the faces and hands are the most flashy things thanks to the strong light. These contrast of lights are the key of the picture, they generate movement and embodying the theme of the artwork. 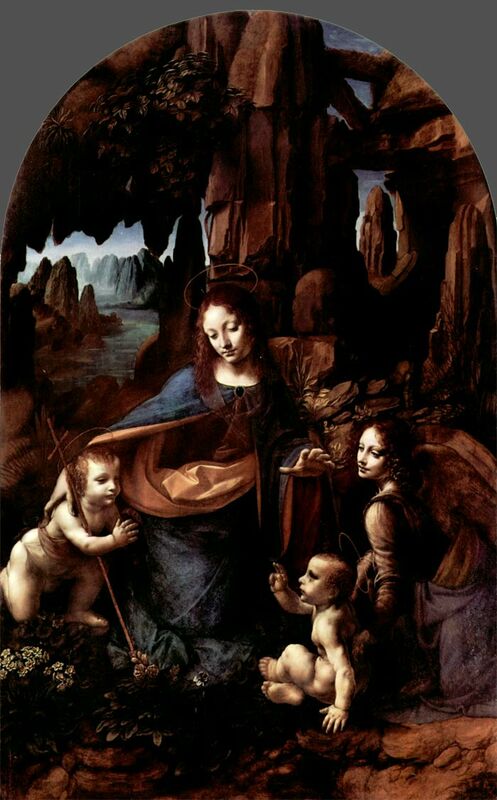 Leonardo Da vinci, Virgin of the rocks. Strong contrast of lights. Example of the tenebrism french style. George de la Tour. San José carpenter. Artword of 1642, 1.37 m. x 1.02 m.
Contrast the romantic style. An intense source of light, it gradually expands in the night scene. The Shootings of May 1808. Francisco de Goya painted it in 1814. And with surrealist style, Salvador Dalí created this contrast of light where his figures on the table and the child are darker, against a background and space with a strong light, unlike to the barroro and the tenebrist way. Another great way to create contrast of lights to attract the eye. 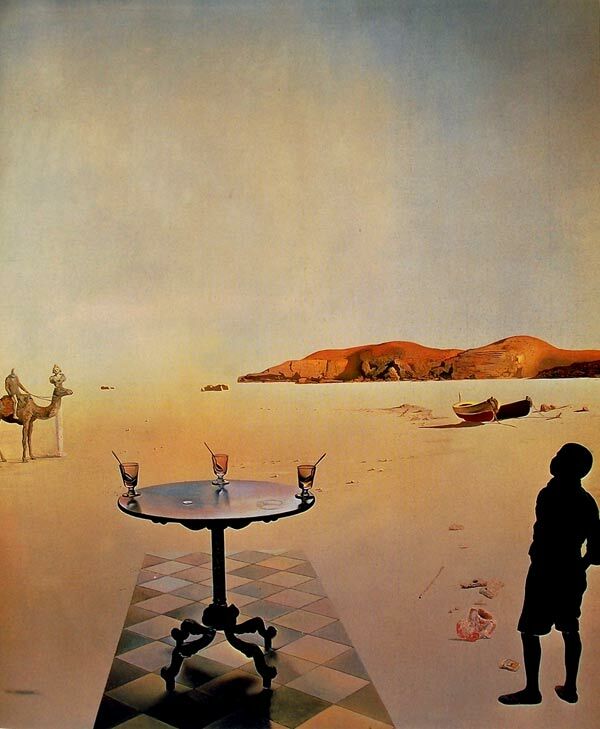 Salvador Dalí, Table to the sun. In the Impressionism are also used the contrast of lights, although applying his theory of complementary colors in the shadows. For example, in this scene, the sunlight illuminates the figures, and so, the violet shadows fall from these lights. Create vitalism and rhythm in the work. Gives strength when it´s a strong light and it´s dim and weak when the light is invisible. Example of Leonardo Da Vinci. The light comes with the meaning of the illuminated elements and it´s connecting the elements. So the points of light and its expansion in space influence our feelings. 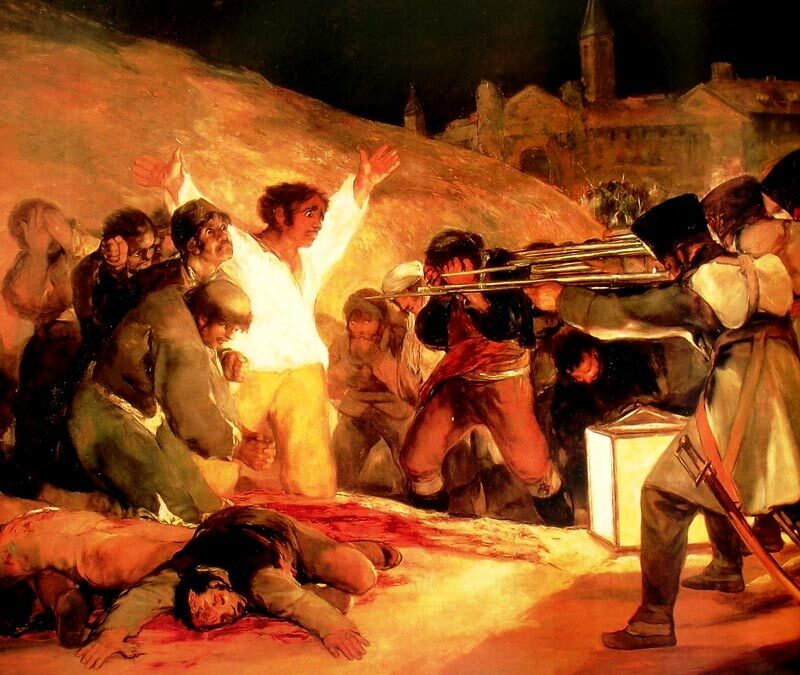 For example, the Goya painting, where thre is a light that comes from the man’s shirt, and this light also touch the men who are going to shoot him, connecting them. Create color variety, as when the shadows contain the complementary colors of the lights, like in the impressionist painting.